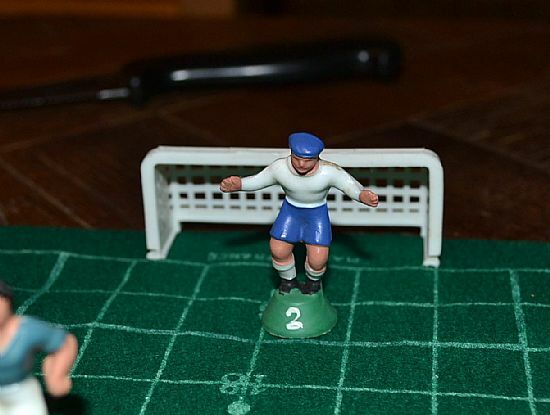 A long standing table football game from France that appeals due to the large number of hand painted team kits available. 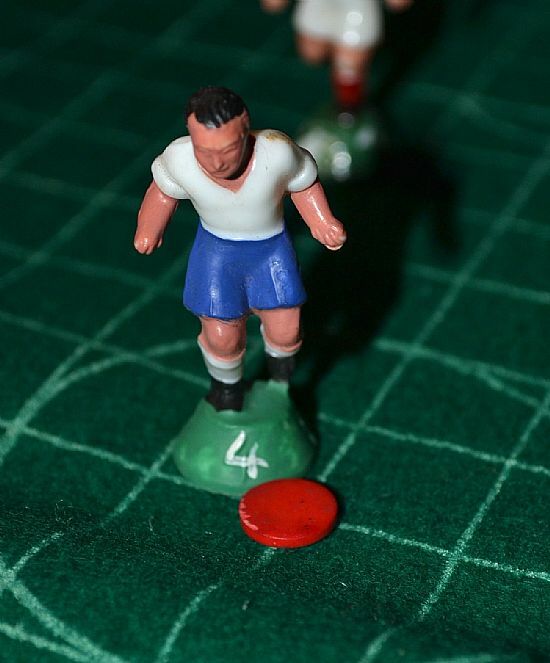 A little like Subbuteo but more like Waddingtons table soccer using a tiddlywink method to play the game. 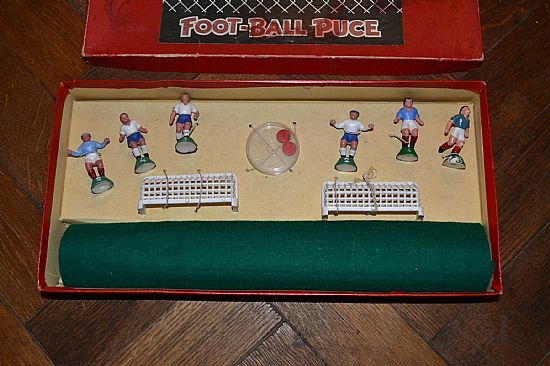 I'm always looking for extra players and bits and pieces from this game, if you have any please get in touch. 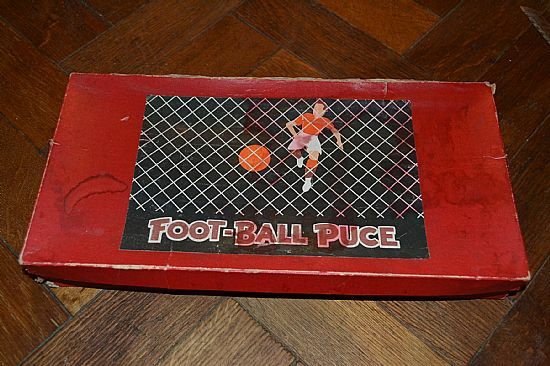 Classic French game, a timeless classic - puce means 'flea' and it represents the ball which is flicked across the pitch like a tiddlywink. Boxes set with three a side teams, goals and balls plus squared grid pitch. Commanding his area and twice the height of the goal. Very nice casting and painting. 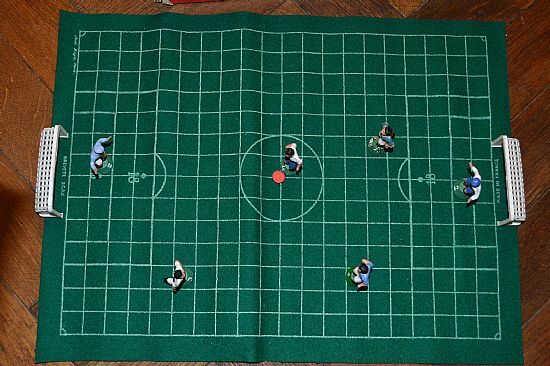 An aerial shot of the game in full flow.